New New New Fear Not – it’s a smoked Stout with added conger eel. No Dolphins though because that would be odd. New New New are new to the list of brewers that I’ve written about, Pretty sure I’e drunk beer from New New New before. Fear Not is a 650ml bottle of a beer that is 6% ABV and that’s about 180 calories a sere, this is 3.1 standard drinks in NZ. 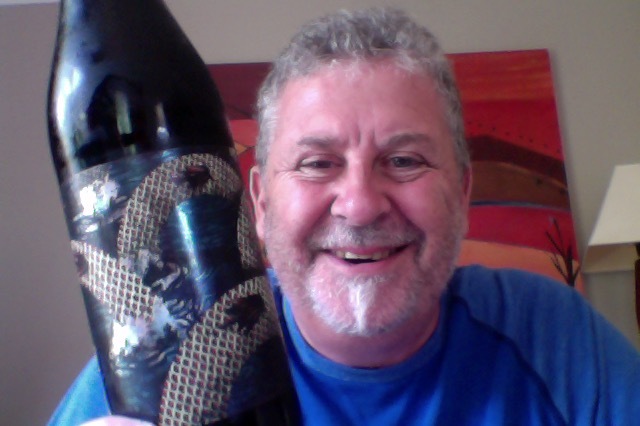 A very smokey, dark stout with a deep undercurrent of NZ conger eel and manuka malt. There’s a hint of the smokiness on opening, and I may have taken myself into some fishiness. There’s no fishiness. It is a dark beer, and pours with a goodly head that falls back but still retains a bolting cloud look about it. Right. I thought that aroma of fishiness was just mind games, then I taste it and for me this is fishy rather than smokey. There’s not a lot of body in this, and the action is at either, one of which isn’t a total pleasure. Who wants fish in a beer? I can honestly say that I’m not really looking forwarding to another sup, I’m pretty sure fish oil beer should not be a thing, and there’s a good reason that it isn’t. An outlandish idea that has been executed in quite a clumsy manner really. You can really talk up a beer in your own head, and I think that I’d set rather a high expectation, a smoked stout, what’s not to like about a smoked stout? The crushing thing is that because I wasn’t keen and this got a lot warmer the Smoked aroma as still there, and as it warmed the smokiness int he malt began to shine through more, but it’s not enough to try this around as that fishiness at the long lingering end is also bigger, longer, fishier, it’s not pleasant. The pdubyah-o-meter rates this as 7 of its things from the thing. I don’t think that this was a great idea, it was an outlandish idea, and the execution has left it looking like a pretty poor decision. 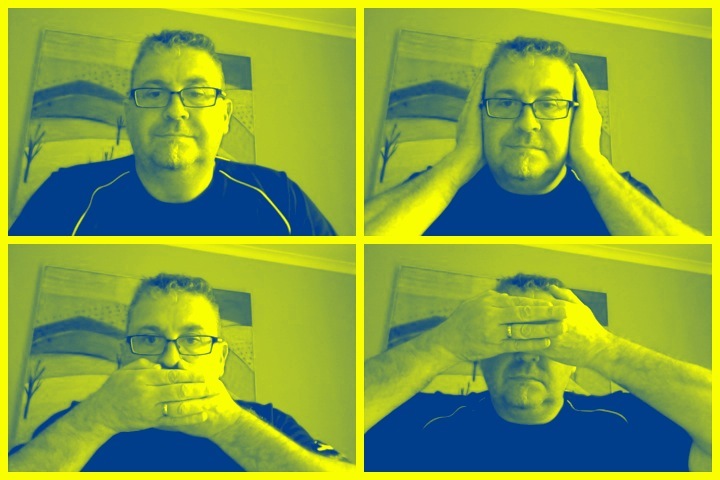 It just isn’t ‘right’ with fish oil being an over-riding taste, which brings trepidation. Would I share with a friend on a porch and set the world to rights? Ah, no. This is a bit of a train wreck of an idea that probably seemed hilarious and brilliant at the time, groundbreaking and radical, turns out there’s a reason that this beer has never been made. Huntly are a Trio from Melbourne Australia and this is most definitely pop-music. 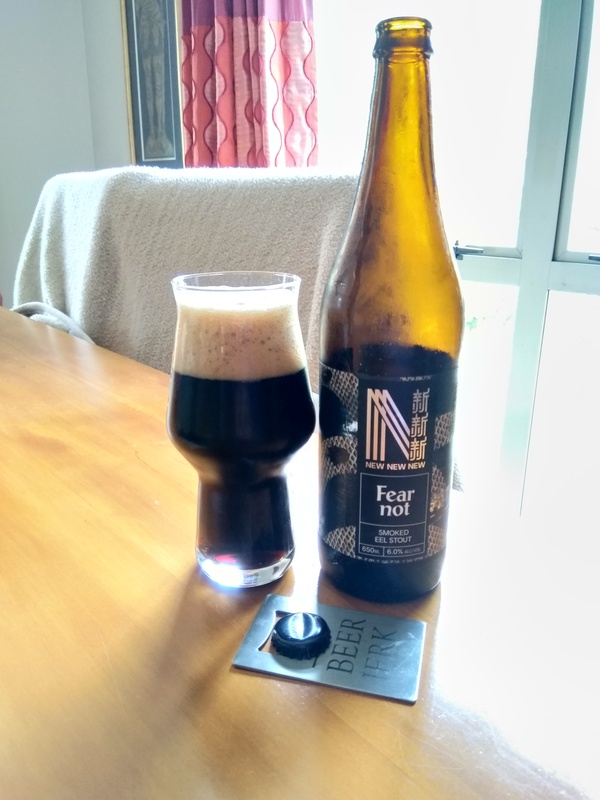 This entry was posted on March 17, 2019 by Philip Walter in Beer, Beer of New Zealand, Beer Review, Brewed By, Craft Beer, Critic, New New New, Stout and tagged New New New Corporation, New New New Fear Not, Smoked Eel, Smoked Stout.